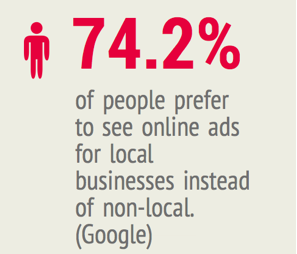 Display advertising is the largest and fastest growing form of online marketing. Our system collects information online, to create the best converting online ads. Unlike radio advertising or newspaper ads, display marketing can be tracked and you can measure the success and revenue of each campaign. You also have the ability to use this in conjunction with a Call Tracking Number, in order to identify each marketing endeavor separately, with a specific phone number. This will allow you to run several campaigns at once and isolate the profits of each. Your display ads will appear selectively based on the audience’s geographic location, demographics and browsing interests. If you are targeting people over the age of 30 for example, within 20 miles of your zip code, which have recently searched online for your product or service, they will be exposed to the ad. Our display advertising platform also operates on mobile devices and works for both local and national websites. Your targeted ads will have the opportunity to appear on some of the top sites on the Internet, such as The Huffington Post, Fox News, Truila, MSN, CNN, CBS and more. Display ads are a form of retargeting, also known as remarketing. It allows your brand or service to continue to be publicized in front of your audience, even after customers move on to other sites. By presenting your business on websites such as CNN and ESPN, it will give your brand credibility. 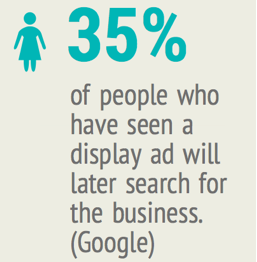 To learn more about how custom display ads can benefit your business, please give us a call (386) 478-4668.